Tumerity is high quality turmeric curcumin combined with a small amount of ginger and black pepper to aid absorbtion. Tumerity is high quality turmeric curcumin combined with a small amount of ginger and black pepper to aid absorption. Turmeric has been used for centuries as food and medicine, dating back at least 4000 years. Modern medicine has begun to recognize its importance as well — as indicated by the over 3000 studies dealing with turmeric that have been published within the last 25 years. Turmeric continues to garner attention from the health community, thanks to its antioxidant properties and potential to help protect cells against oxidative stress and deterioration, support cardiovascular health, and promote healthy joints. Curcumin is one of the principal healthful components of turmeric — and the reason turmeric has that characteristic yellow color. A naturally occurring plant­-based antioxidant, curcumin helps protect cells against oxidative stress and deterioration, supports cardiovascular health, and promotes healthy joints. The curcumin in Tumerity includes 95% curcuminoids (curcumin, demethoxycurcumin, and bisdemethoxycurcumin), the most potent compounds in turmeric root. Our formula additionally includes ginger, a polyphenol with complementary antioxidant properties. The combined support of curcumin and ginger may also assist in several protective functions in the GI tract and in the liver. Despite their extraordinary potential, many herbs can have limited benefits due to poor absorption. With curcumin standardized to 95% curcuminoids for powerful antioxidant potencies, our formula also includes organic ginger and black pepper to improve the absorption, bioavailability, and benefits. Black pepper has been clinically shown to increase absorption by as much as 4x, making Tumerity curcumin more effective than other formulas that do not contain clinically proven bioenhancers. Turmeric has been used for centuries as food and medicine, dating back at least 4000 years. Modern medicine has begun to recognize its importance as well — as indicated by the over 3000 studies dealing with turmeric that have been published over the last 25 years. Turmeric continues to garner attention from the health community, thanks to its antioxidant properties and potential to promote a healthy inflammatory response. Curcumin is an active polyphenol in turmeric. Polyphenols are plant-based antioxidants, and evidence for their role in preventing degenerative conditions is increasing. NatureWise Organic Curcumin additionally includes organic ginger, a polyphenol with complementary antioxidant properties. The combined support of curcumin and ginger may assist in several protective functions in the GI tract and in the liver, and in several studies curcumin has demonstrated anti-inflammatory activity. Many herbs can have limited benefits due to poor absorption. 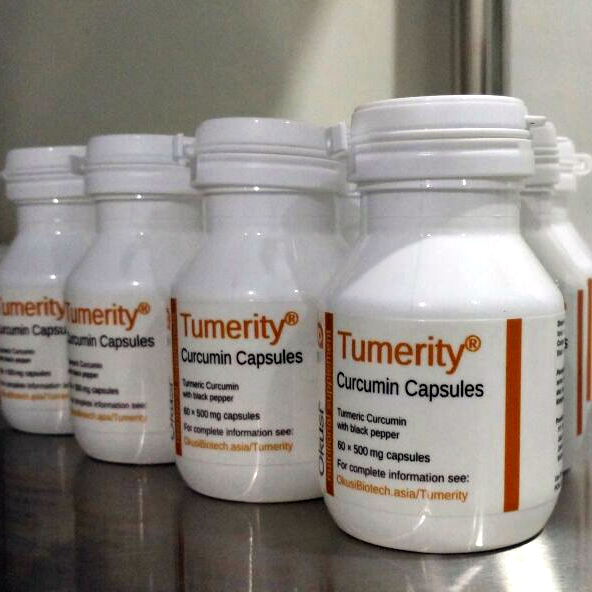 Tumerity includes organic ginger and black pepper to improve the bioavailability and benefits of curcumin. Organic Turmeric Curcumin, Ginger, Black Pepper.